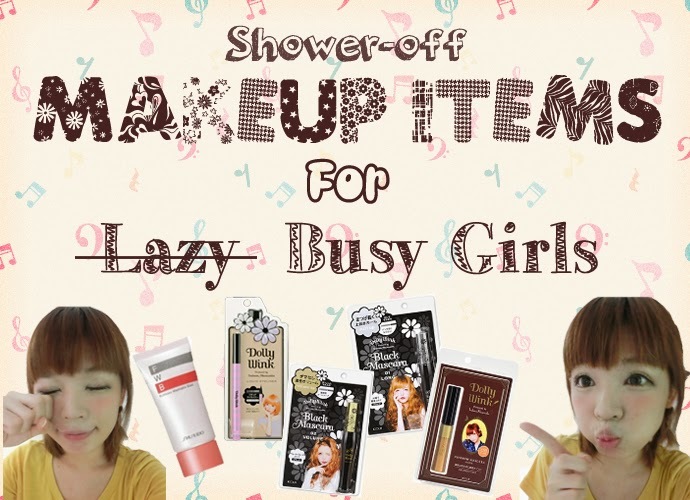 Kellykonomi.com ♪　Let's be pretty together: Makeup products you can remove in SHOWER! Today I'll be introducing some makeup products that you can REMOVE in shower!! I'm always the last one to shower at home because i need to remove my makeup thoroughly before showering! But now, after i've discovered these makeup products, I WANT TO BE THE FIRST TO SHOWER!! 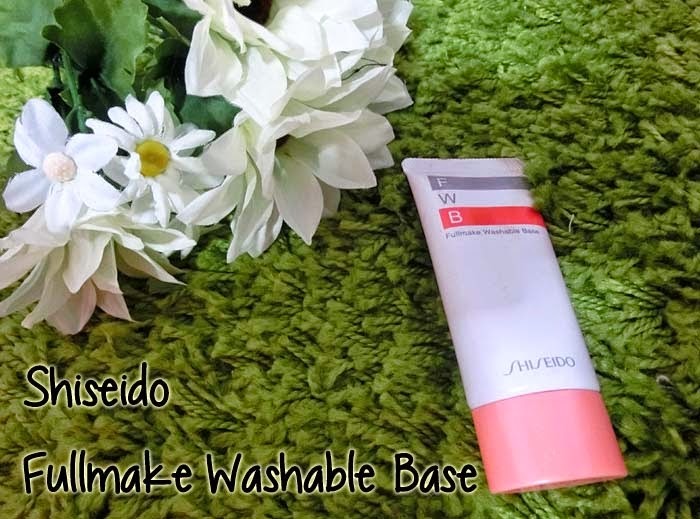 I bought this Shiseido Fullmake Washable Base months ago after Yura recommended it to me! 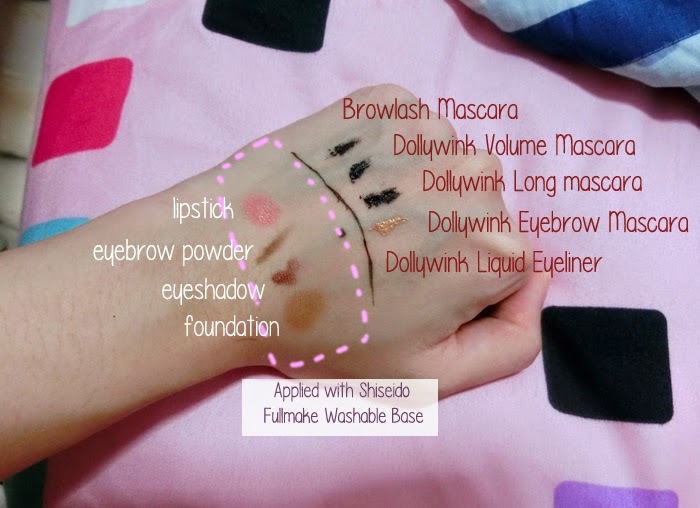 Shiseido Fullmake Washable Base contains a substance that is hydrophobic to cold water but hydrophilic to warm water.When blended with warm water, the substance works to detach the Fullmake Washable Base from the skin, allowing the foundation, along with eye and lip (point) makeup, to be washed off easily, together with the base. As a makeup base, Fullmake Washable Base helps smooth out unevenness and fine wrinkles, helps foundation, eye color, and lipstick adhere tightly to the skin and lips,and illuminates the skin with a natural glow. Also containing hyaluronic acid, the product spreads smoothly and comfortably on the skin, hydrating it and offering protection from dryness. However, eyeliner and mascara can't come off with this lovely treasure. 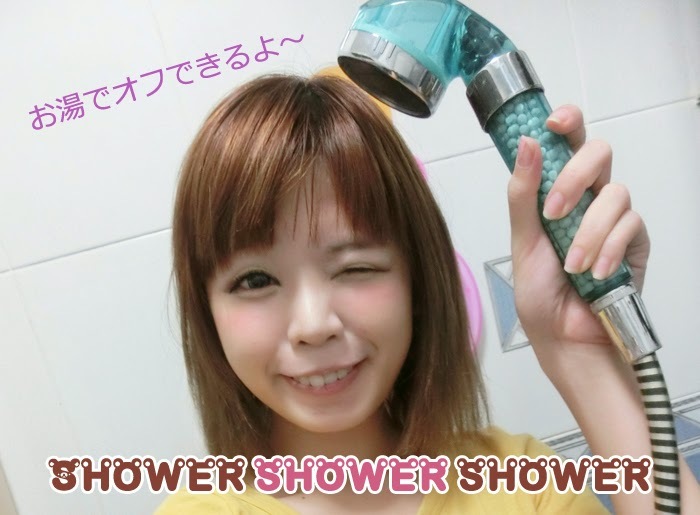 Therefore, it's important to choose eyeliner and mascaras that can be removed during shower! 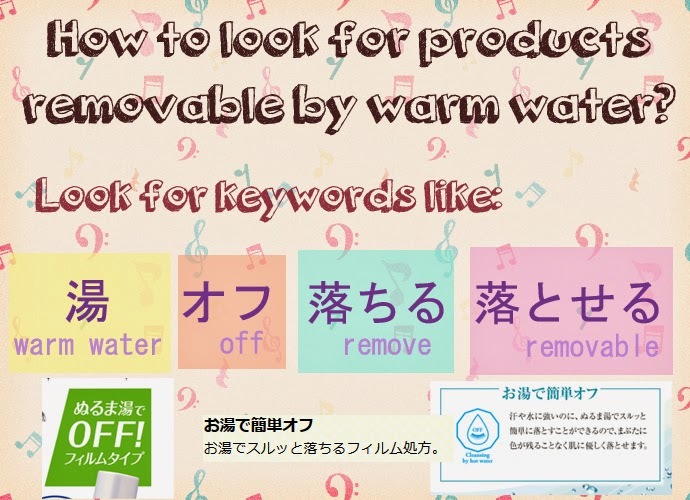 Most importantly, it must have this word "お湯" and it may be followed by OFF or remove! Nevertheless, when you're in doubt choosing a warm water removable mascara or eyeliner, approach the friendly staffs near you! I normally use these few! 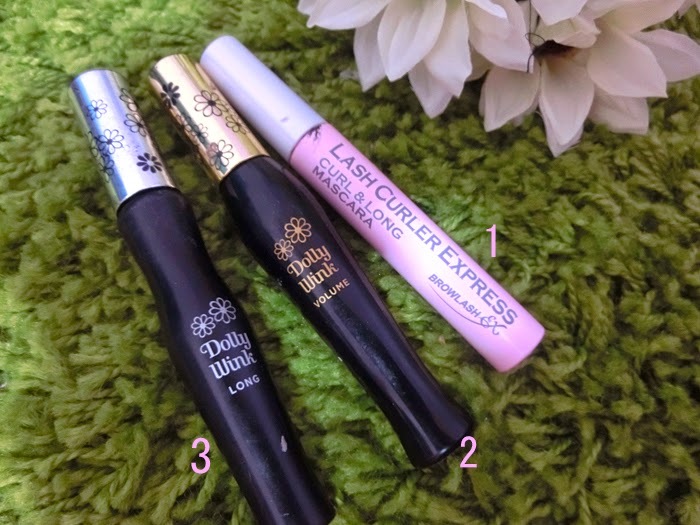 Coincidentally, they are my top 3 mascaras! This mascara has a formula that curls up your lashes for you. I don't even need to use eyelash curler to curl my lashes!! I love them so much, i did a review on them previously! and yes, it can be removed with warm water too!! Even since i tried warm-water-removable mascara, I ONLY go for such mascaras! 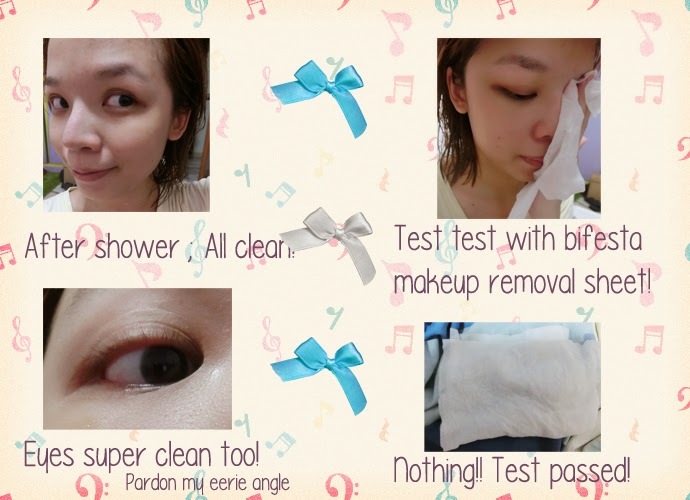 You don't need to rub your eyes or use cotton bud to go over your lashes numerous times! Also, I applied these mascara when i've got my eyelashes extension as well! In addition to お湯で落ちる mascara, there's eyeliner and eyebrow mascara too!! and my favourite dollywink eyebrow mascara!! 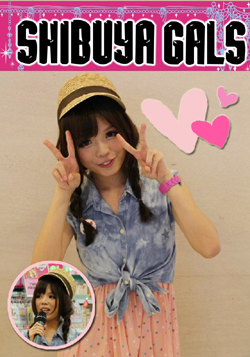 Ps: I'm using the old version but there's only this photo only so i took this! both works well! your whole makeup can be removed by using warm water with all these marvelous products!! Bascially i just shower just per normal with warm water (~38-39degrees) and then wash off everything with facial foam. I applied on side with Shiseido Fullmake washable case and applied lipstick, eyebrow powder, eyeshadow and foundation on them. Then i rinse them in cold water. Hope this review will help girls like me!! It can definitely shorten the time taken to rewind~! 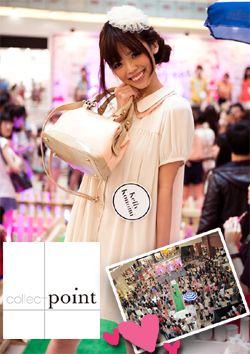 i'm using little pale brown from PRETTY LENS ! bought it from thailand. they said that sweat in a warm day might make the makeup run too. Thank you for the really informative post-- I've never actually considered buying makeup that washes off in the shower! I'm most interested in that base. D: When I get home from work at the hospital, the last thing I want to do is stand there and wipe my makeup off. I am so going to order it!! 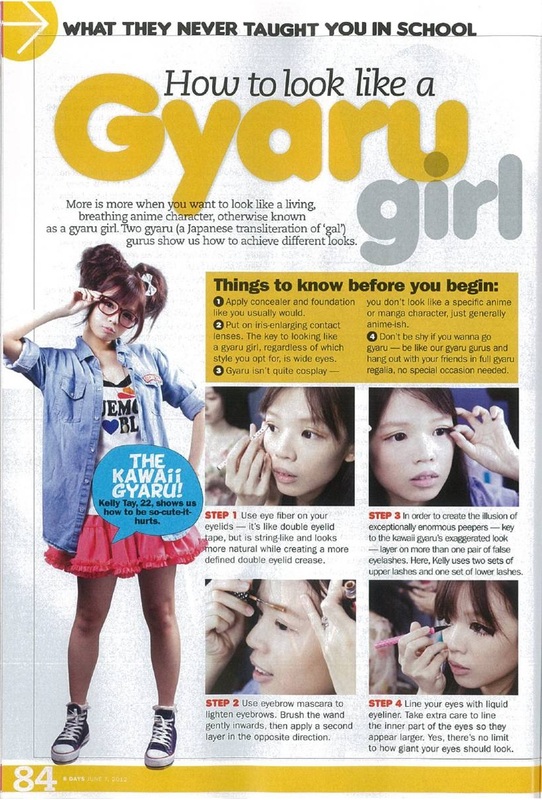 I have been looking at make-up like this for a while! I am so lazy when it comes to removing makeup! Thank you!